One effective way of making your yard look more cozier and more presentable is through installing hardscapes. Omaha locals unsurprisingly love to lounge on their patios thanks to the city’s beautiful weather. Because designing a yard requires careful planning and laborious construction, it is important to look for a landscaping company that has a proven track record in building hardscapes in Omaha, like Heroes Lawn and Landscape. What Are Hardscapes in Omaha? The term hardscape is not something that we often hear, unlike the more popular term, landscaping. However, we all have seen and perhaps even adored the exquisite hardscapes in Omaha. Especially when they are meticulously built by experts, like the technicians of Heroes Lawn and Landscape. Now, we see hardscapes in Omaha add so much beauty to your lawn design and patios. 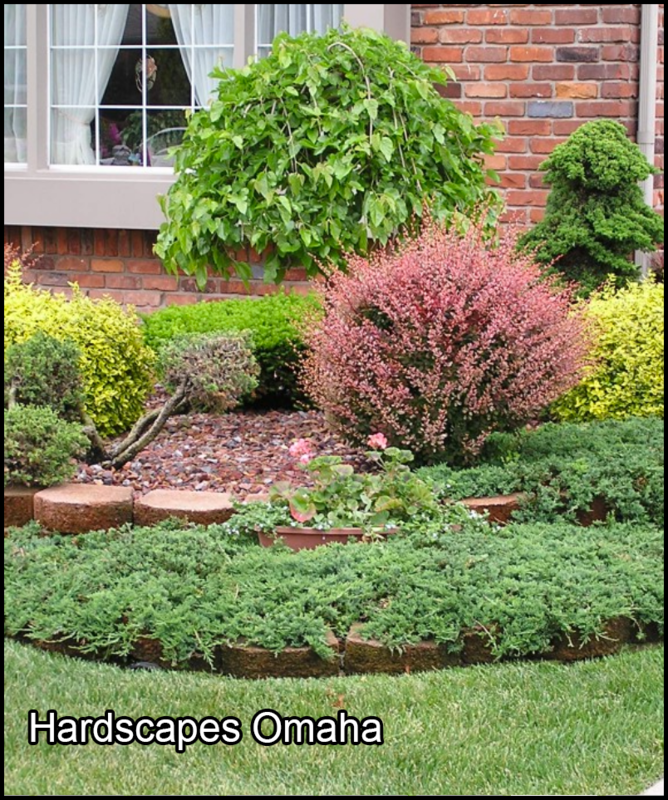 Hardscapes in Omaha utilize heavier materials versus living undergrowth, as in softscapes, which primarily involve plants and shrubs. Inorganic objects such as rocks, bricks, pavers, and concrete are what comprise hardscapes in Omaha. Can I Incorporate Hardscapes in Omaha to My Already Landscaped Yard? Why Should I Invest in Hardscapes in Omaha? Good hardscaping upsurges your property’s appeal, and in essence, the value of your home. It is also wise to note that should you decide to sell your property in the future, the design of your front yard are more often than not what attract prospective buyers. Through the years, Heroes Lawn and Landscape has built patios, walkways, and driveways that pleased our clients. Hardscaping may be used to build an outdoor scope with amenities where you can host parties and gatherings. You may ask Heroes Lawn and Landscape to install brick tables and seats as your hardscapes in Omaha. When having guests over, one problem is some of them accidentally stepping on your plants or flower beds. Hardscapes in Omaha in the form of flagstone walkways, stone paths, and the like will be of great help in protecting your landscape by keeping people out of places where you don’t want them to be. Hardscapes in Omaha fix grade issues. Sloping or an uneven yard is not just unsightly, it may also lead to untoward incidents. Hardscapes in Omaha through retaining walls, tiered patios, and stone paths will not only improve the appearance of the yard, but they will also help avert erosion. Hardscapes in Omaha featuring covered patios, trellises, stone walls, and pergolas are ideal for providing shade that lets you relax in your outdoor area without the glare of the sun. Hardscaping structures also deliver privacy from neighbors or high traffic areas. Hardscapes in Omaha help reduce the maintenance requirement of your landscape. Because resources for hardscapes in Omaha are solid and stable, you get away with constant watering, mowing, and weeding. Integrating hardscapes in Omaha allows you to sit back and unwind. You also get to cut back on water and fertilizer expenses. Your landscape management needs, including lawn care and the construction of hardscapes in Omaha, deserve the attention of specialists. Call Heroes Lawn and Landscape at (402)933-1985 or email us at Mike@HeroesLawnandLandscape.com. Our office is at located at 18735 1/2 F Street, Omaha, NE 68135.